OUTRIGGING: Canoe Point Outriggers Club produced outstanding results on the Sunshine Coast. Joshua Hurst led the club with gold in the OC6 under-19 men crew 1000m category. He then teamed with Hayden Bright to finish first in the OC6 U19 Mixed Crew 1000m. "Great results for our little club to be 11th on the medal count and I couldn't be prouder," head coach Col Hurst said. 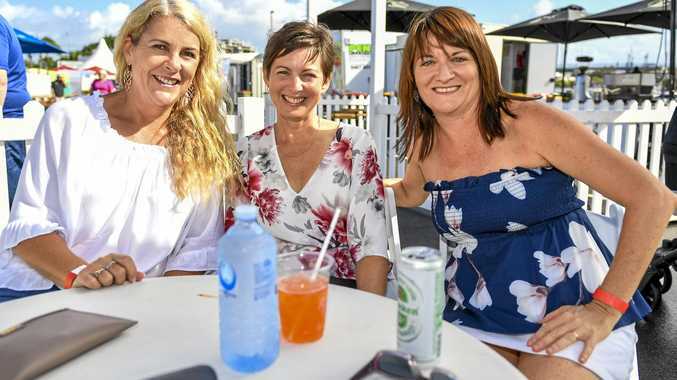 "From a small club that paddles in the Boyne River and in the surf off Tannum Beach, we have made our mark in the Australian Outrigging scene once again." Joshua collected his third gold medal in the OC1 U19 men class as well. Flynn Wiig bagged two gold medals in the V1 U12 and OC1 U12 boys' classes. "All broke personal-best times and all improved from the times in their heats to the times in the finals," Hurst said. Australian Outrigger Canoe Racing Association president Grant Wirthington said competition was cut-throat with little margin for error. "Sprint racing is short and intense and unlike marathons, you cannot let up for even a moment and any mistake," he said. "Jumping the start, going outside your lane, being too wide coming out of a turn can cost you the race and you get no help from waves and swell. "You go from zero to flat out in an instant, paddling your heart out for only a few short minutes, but your aching limbs and burning muscles can't take away from the exhilaration you feel. No matter where you come in your race you can step off the water proud." The next regatta for the canoe Point Outriggers Club is in Airlie Beach on May 4-6. There are two other events and these are the V1 Marathon Racing in Mooloolaba on may 17 and this is also a qualifier to represent Australia at the World Marathon's. The Australian Marathon OC6 Senior Titles, also held in Mooloolaba, will be on May 18-19. 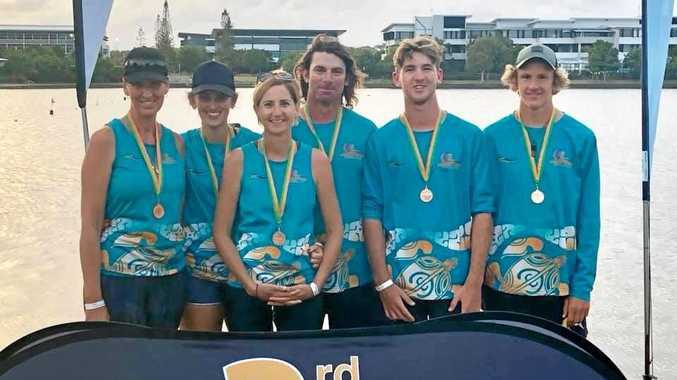 "We have one junior paddler, vying for an Australian seat in the next World Marathon Championship, being held in Mooloolaba on August 9-16," Hurst said. OC6 Open Mixed Crew 1500m: 3rd in Australia - Joshua Hurst, Erin Hurst, Nicky Hurst, Hayden Bright, Darren Bright and Michelle Lowry. OC1 U12 Boys: Ben Lowry - 6th - PB.